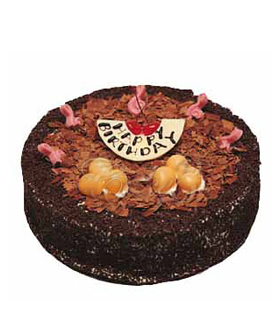 Chocolate Cake delivery to China & send cake to China for birthday, for love! 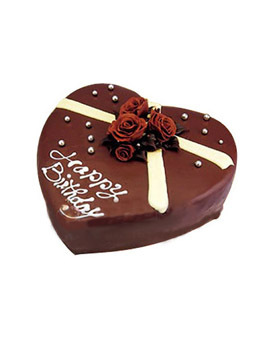 Send Chocolate Cakes to China from FlowersToCN.com. 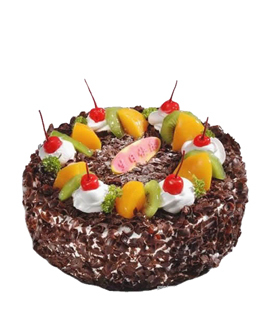 Chocolate fruit cake, with seasonal fruit, beautifully decorated.Due to seasonal reasons, the fruits might be replaced by other kinds. 1, The pattern, colors of the picture are for reference only, belonging to the cake by hand goods, so the actual cake will be slightly different with the picture, please understanding these. 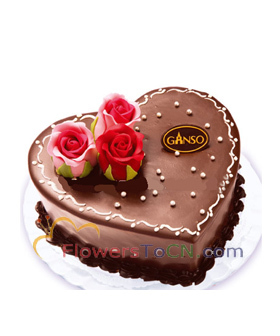 2, On the cake "Happy Birthday" , "I LOVE YOU" and so do the words for the content of the cake, if mounted another word, please specify. 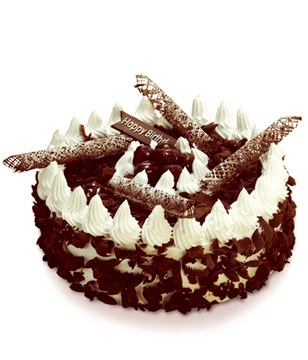 3, All the cakes must be ordered to deliver before one day, and please order two days in advance is best before Christmas, Spring Festival, Valentine`s Day, Mother`s Day and so on, on such important festivals. 5, To buy a cake will get knives, forks, plates, a set of candles for free.